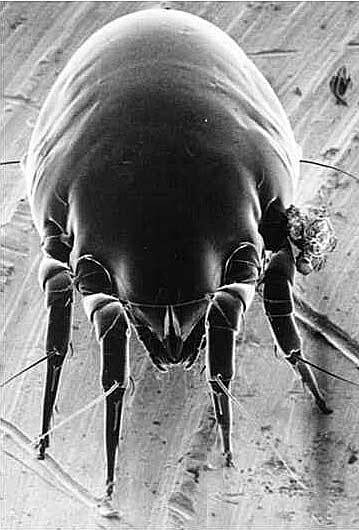 Dust mites are the main source of indoor allergens in Spain. Worldwide, the most important species are Dermatophagoides pteronyssinus, Dermatophagoides farinae, Euroglyphus maynei and Blomia tropicalis. Other species also found in Spain are Lepidoglyphus destructor, Tyrophagus putrescentiae, Chortoglyphus arcuatus, Acarus siro and Glycyphagus domesticus. 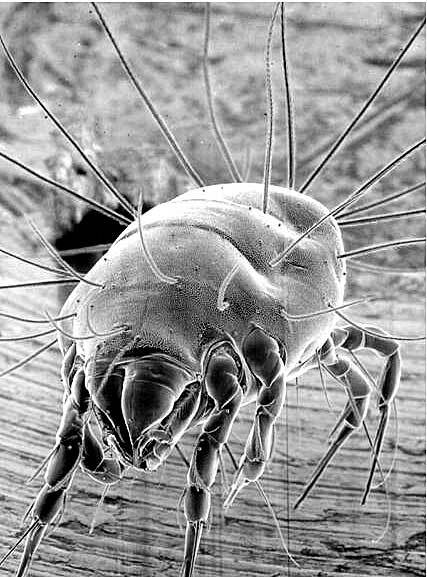 Mites need high humidity and moderate temperature to survive so they are not equally distributed over Spain. In these, more humid, regions there are also abundant mould species, with which they have developed a complex symbiotic system. 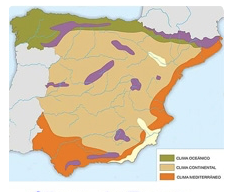 Mites are most abundant in northern Spain and in coastal areas of the Mediterranean and the Atlantic Ocean (coincides with the green areas of the map). In the Balearic and Canary Islands, they are also very abundant. 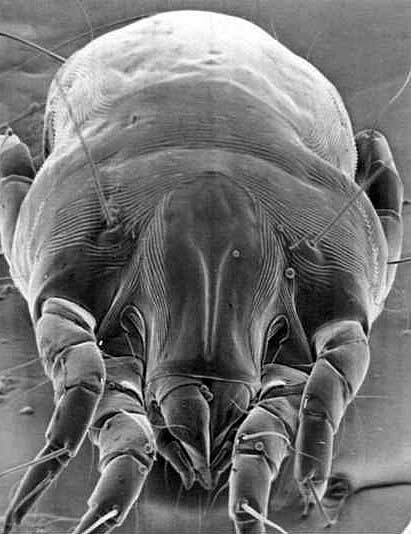 In the interior of the Peninsula, the concentrations of mites in house dust are significantly lower, although they may be present in food pantries and on the surface and hams, cheese and sausages. 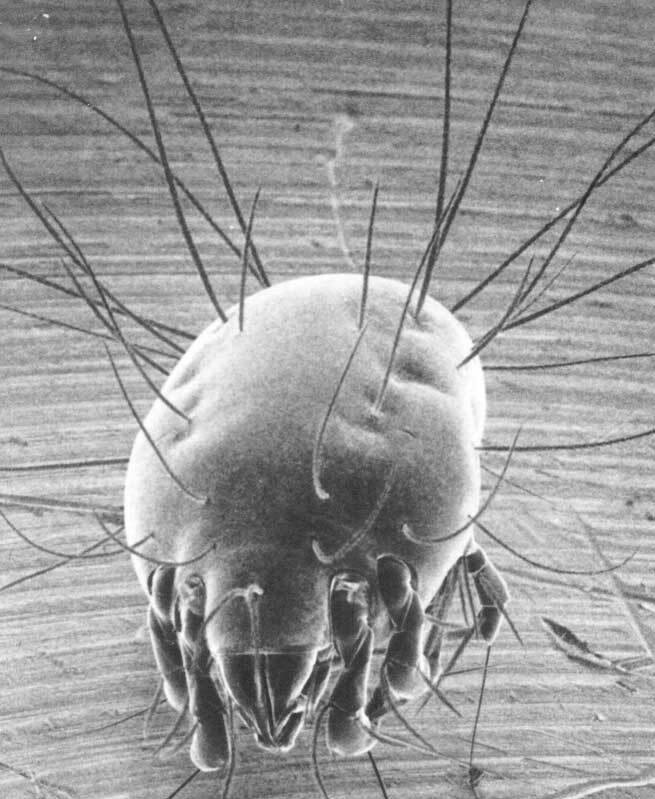 The main species of mites in Spain are D. pteronyssinus (mainly along the coast of the Cantabrian sea and Galicia) and D. farinae, which has a major presence in Catalonia, Valencia and the Balearic Islands and, in general, in the Mediterranean basin. B. tropicalis is more important in the Canaries and C. arcuatus in Galicia. 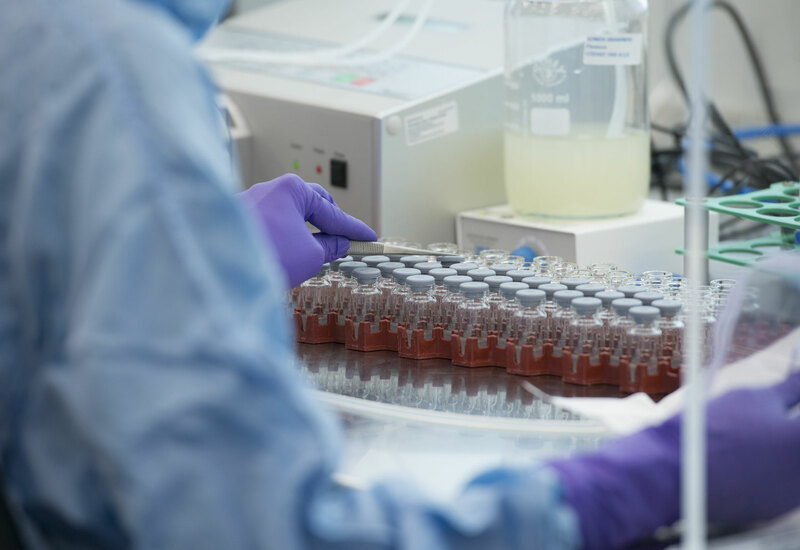 There are important differences between the fauna in mattresses dust and floor dust samples from kitchens and pantries. In these places there is a greater number of storage mites, such as T. putrescentiae and Acarus siro. L. destructor is also plentiful in rural areas. 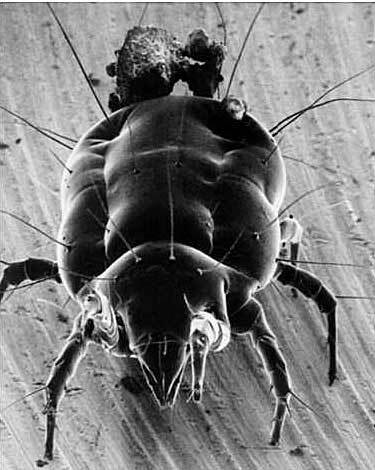 The mites in house dust, which can cause allergic sensitization, are known as domestic mites.